Pure. A Two East/Cineflix production. Created by Michael Amo. Directed by Ken Girotti. Aired on CBC, 2017. CBC’s new crime drama, Pure, which premiered on Jan. 9, 2017, has generated a lot of controversy in the Canadian Mennonite community, and for good reason. The six-part TV serial concerns a “colony” of Old Order/Low German Mennonites in southern Ontario—no such ethnic group exists, let alone a colony—and its connection with a Mexican Mennonite drug-smuggling operation. Despite the extensive research that must have gone into the making of the show, the list of historical inaccuracies could fill this review. To learn more about these, I recommend online articles written by Mennonite historians Sam Steiner and Royden Loewen (on the Mennonite Studies Facebook page). My first priority in this review will be to analyze Pure on its own merits as a TV show before reflecting briefly on why—and why not—its misrepresentation of Mennonites is an important consideration. 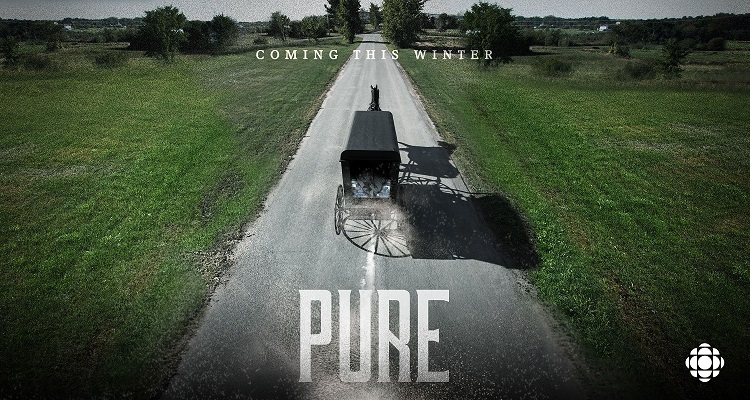 The first episode of Pure begins with the execution of a Mexican Mennonite family that had sought refuge from the Mexican Mennonite mob led by Eli Voss (played by Peter Outerbridge) in Ontario. 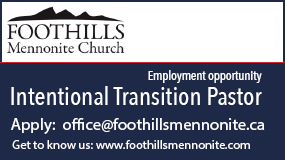 A boy escapes and is adopted by a local colony, which is led by Noah Funk, the new pastor (Ryan Robbins). But the colony’s Epp family—good thing they weren’t Thiessens—is working with Voss, and threaten Noah’s family if he doesn’t deliver the boy to them. In the end, Noah is forced to work for Voss himself, which, from Noah’s view, is an opportunity to be an informant and expose the evil in the Mennonite world. Meanwhile, Detective Bronco Novak (A.J. Buckley) is hot on the trail of all these Mennonite criminals, with the help—over the phone—of a detective in Texas (Rosie Perez). Pure’s production values are very high for a Canadian TV show. Indeed, the excellent cinematography that showcases the beauty of rural Nova Scotia, which stands in for rural Ontario, has been the highlight of the show. The show has also attracted some of the finest Canadian actors, like Outerbridge, who do a more-than-adequate job, and Perez is a nice addition. And while the research for Pure was clearly sloppy, the show does make an effort to reflect languages, customs and names used by Mennonites, and to say positive things about Mennonites. I was particularly impressed by the restraint in the show’s use of violence. For a crime drama, the violence here is very tame—at least so far. It also features some strong writing and good dialogue. However, the writing is the show’s most dubious quality. The first two episodes are neither very credible nor very compelling in their depiction of the male leads (Funk, Epp and Voss), the crimes committed and the investigation of those crimes. The only parts of the show that generated a real spark of interest for me were the family dynamics, especially in the story of Noah’s daughter Tina (Jessica Clement), and her friendship with Novak’s son Ben (Aaron Hale). It is doubtful whether these dynamics will sustain my interest in the long term. What makes Pure’s misrepresentation of Mennonites so problematic is that it feels exploitative, as if CBC is intentionally using the distinctiveness of Old Order Mennonites to attract an audience. Given that CBC is a public broadcaster, with a mandate to inform and reflect regional and cultural diversity, its reinforcement of misinformed stereotypes about Mennonites is inexcusable. A key example is Pure’s use of the word “Mennonites” to refer exclusively to Old Order Mennonites who use horses and buggies or paint their bumpers black, or to Low German Mexican Mennonites. Faith is shown as central to the Mennonites, but no distinction is made between Mennonite faith and ethnicity, ignoring the countless number of Mennonites who do not share a Low German ethnicity. As a Mennonite with Low German roots, I was distracted by the poor accents and the poor use of Low German in Pure, and I was disappointed with CBC for the countless inaccuracies about Mennonite life and for its desire to exploit the Mexican Mennonite drug story. At the same time, I would caution restraint in our defence of how Mennonites are depicted in Pure. TV shows and films routinely exploit and misrepresent ethnic and religious groups; HBO’s depiction of Mormons in its acclaimed series, Big Love, is an example. And we know that Mennonites of all kinds, even the most faithful, have been guilty of a variety of sins. Instead of defending ourselves, let’s use the popularity of Pure as a discussion-starter that allows us to share our story with others, and to reflect with them on the many ways mass entertainment has misrepresented—and continues to misrepresent—ethnic groups during the past century. Is our indignant response to Pure righteous? I am loving the new show with really only one thing--the inconsistent accents is a bit bothersome. I do not know much about the Mennonites except that there are some that drive buggies (I see them at the market in St. Jacobs) and some do not use electricity. I do see people in what I only know to call "traditional dress" at the market, working in the shops in St. Jacobs. So in the end, I am happy to have read this article so that I know not to assume or apply anything about what I am seeing on the show to the actual Mennonites. Thank you. This is a hateful show and the producers should be sued for their hateful show on true Mennonites. 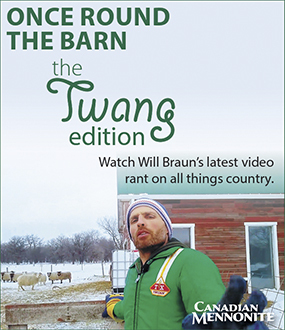 I for one as a Mennonite will be contacting my MP to have this show stopped, as well as consulting an attorney against the CBC for airing this filth. To Martha: Watch "Pure" simply as a crime drama, not to learn about Mennonites. Since you apparently live near St. Jacobs I would invite you to visit "The Mennonite Story" museum on King St. in St. Jacobs. 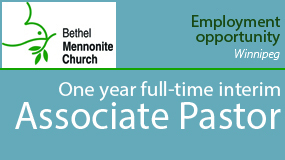 There you can learn a lot about Mennonites in a short time. Check the web site, http://www.stjacobs.com/Culture-Heritage-The-Mennonite-Story.htm for details. To Vic: I beg to differ that there is "restraint" in the use of violence; perhaps so for a crime drama (not my normal choice of drama) but there is too much for me! 1. What bothers me is that the publicly owned CBC would spend millions of public dollars to create fictitious entertainment at the expense of an ethnic/religious group. Are they more concerned about ratings than about mission? Or am I sensitive simply because the series deals with our culture? 2. The series was prompted by a real-life event of drug running by Mennonite individuals, but the series focuses negatively on a religious community rather than focusing first and foremost on a crime. The title, “Pure” clearly references the religious community, not the criminals. It is a story of how the religious community is implicated in the criminal activity and how its purity is compromised not only by the crime itself but also by their response to the criminal activity. Clearly, the drug running affected the religious community in Mexico but hardly to the extent suggested in the TV series. 3. The series focuses on how mixing with "the world" creates intense conflicts for families and church community. That may actually be the underlying message of the series that has universal application. The story is about deeply established norms that are put to the test when personal behaviour deviates from them. That applies not only to the drug running but also the daughter’s deviation in her social contacts. If that message is generalized by the viewer, the series may even serve a purpose. Apart from that, I don’t know what could justify the series. 5. The saving grace for us is that the plot is so outlandish that it is not believable. 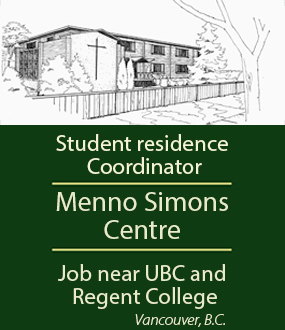 The violence is so overdone given the nature of the Mennonite community. The suggestion that the minister would personally plant drugs under sofa cushions of the drug runner so that the police would find evidence to arrest him is bizarre. The suggestion that the minister would be naive enough to join the “Mennonite Mob” in order to clean it up from the inside is bizarre. The female police chief and male detective in Ontario act like thugs, not like police officers. All of these factors clearly turn the series into a third-rate mystery drama with limited credibility. I was quite upset with the first episode until the end when the minister was physically assaulted in his pasture and dragged behind a pickup truck at high speed across the pasture by a chain around his neck. At the end of a 1/4 mile or more with his body being jerked up and down and in every direction he emerges with a bruised face but walks away without difficulty. In a later episode the minister, with help from another, tosses dead bodies like cordwood. Those scenes was so far from reality that it makes the whole series outrageous, like a cheap western. 6. The central motif may be to contrast the complexity of drug running with the naive attempt to infiltrate the “mob” in order to solve it from the inside. Where better to look for public perception of naiveté than buggy-driving Old Order Mennonites. The story is so outlandish and as far removed from reality as western movies are removed from the real life of cowboys. So I am no longer concerned about a threat to public image. You took the words out of my mouth! Well said! Perhaps we Mennonite TV watchers can now have have a little empathy with North American indigenous people watching themselves portrayed in entertainment media. I read the comments on Pure with a chuckle of revelation. Yes, if this is how badly the indigenous communities in NA have been portrayed, then we now know how uncomfortable and poorly the CBC shoe fits. I grew up as an outsider, welcomed into the homes of lower America Old Order Mennonites. Maybe as a young girl I wanted to see the value in their everyday struggle to try to distinguish themselves from worldliness. I heard things, I saw things, but in the end their goal was be set apart and keep themselves as unvarnished as they could in the rapidly changing 60's and 70's. The show Pure is entertainment. Some things could possibly have taken place. As an American, I was really embarrassed by the show about leaving the Amish a few years ago. It was so deliberately tainted and juiced up. I am enjoying the little connection I had with these people in viewing the show. As for targeting and showing inaccuracies in cultural and ethnic depiction, how about the long standing actor, Ice-T and his character in Law and Order? All blacks don't talk like that or wear their hair like that. Nor do all black cops act that cocky. I am not seeing the way Mennonites live or don't live as the focus of this series, but instead it is bringing to light the fact that cocaine smuggling, corruption and violence has happened in a Mennonite community in Ontario. Seriously, you want to compare yourself to indigenous people who have had their rights horrifically taken away so religious orders like yours have a place to call home? This has nothing to do with your way of life, but clearly glares out the fact that some nasty stuff goes on behind the closed doors of a community that prides itself on purity of thought, word and deed, loyal only to God. Clean up your communities, and you can start by acknowledging the fact that this TV series has a very big fact-based history, since 1989 to present, that is in Ontario, your community.